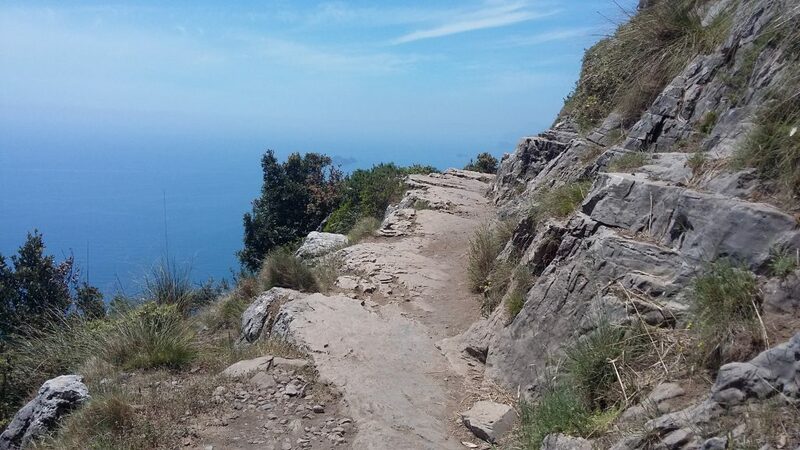 The Path of the Gods is a 6 km trail along the coast from Bomerano, in the mountains above Amalfi, to Nocelle and offers amazing views along the Amalfi Coast. 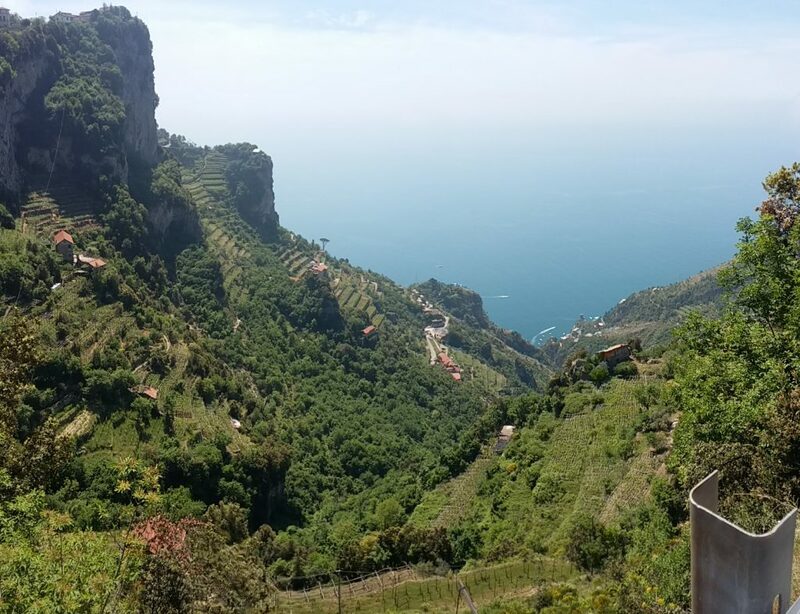 So, for our last excursion before setting off again, we followed our now customary route by train and bus to Amalfi before catching the bus up to Bomerano, another hair-raising hairpin route into the mountains. 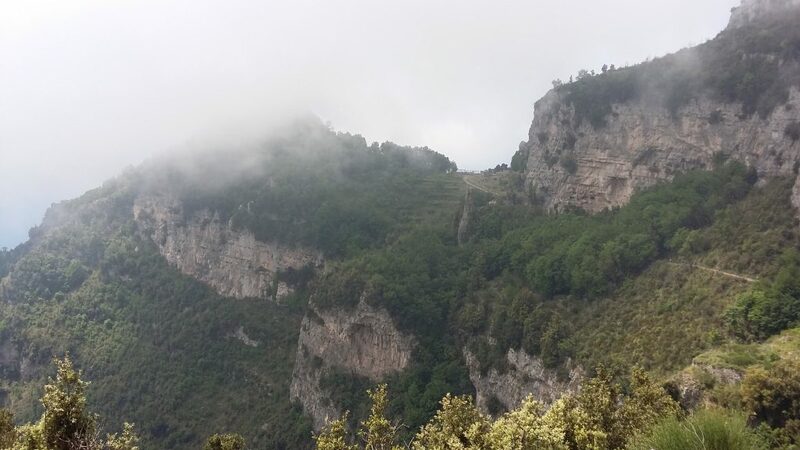 The path at Bomerano starts is at about 650 metres above sea level and ends in Nocelle 450m, above Positano and I am not even going to try and describe the views; the pictures don’t even begin to cover them. 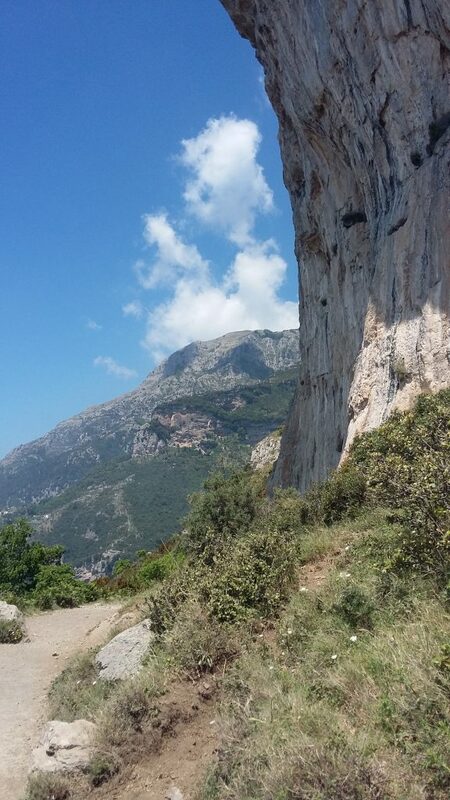 There is a warning that the trail is not for those who suffer from vertigo and some of the unfenced sections of the path are un-nerving. 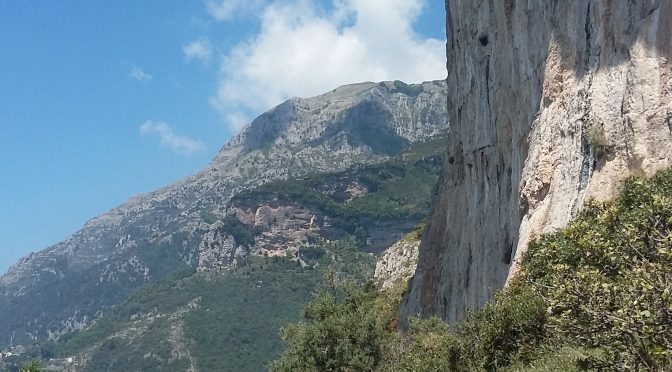 The trail is not overly challenging but does required a certain amount of clambering up and down rocks and some steep gradients, with steps, between the flatter sections. 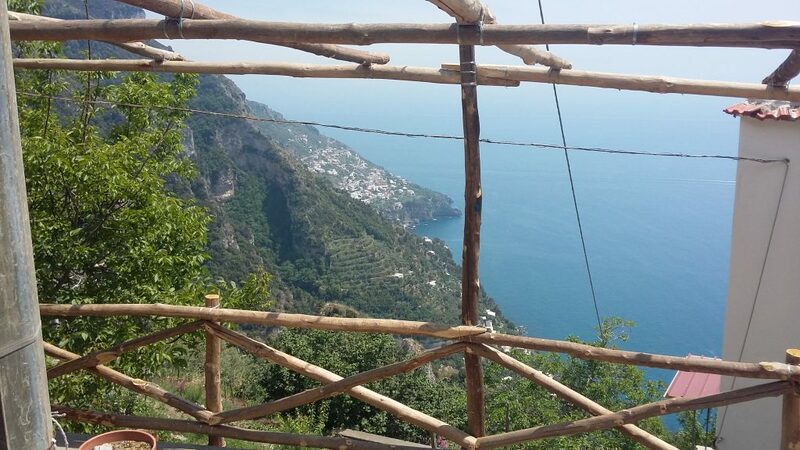 Once at the end of the trail in Nocelle they say there are 1500 steps down to Positano. They lie. My knees were protesting at 2000 and I lost count at about 4500 and as we descended I couldn’t figure why Positano never actually got any closer; just an optical illusion I figured, just around the next bend sort of thing. 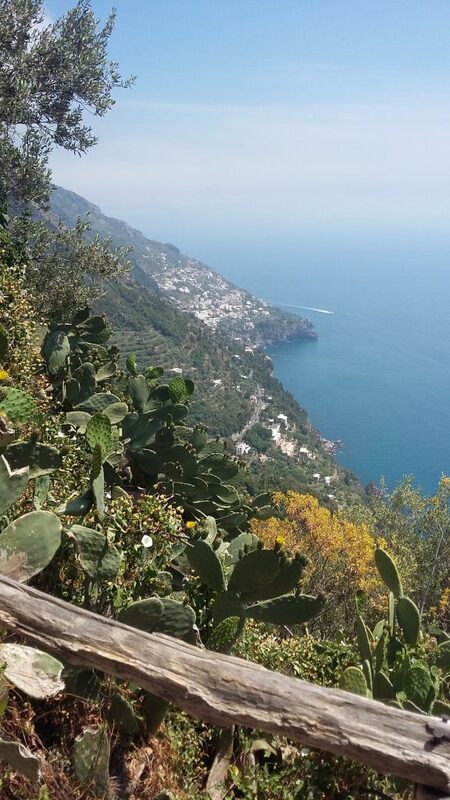 And then, suddenly, all became clear, the steps actually lead to the coast road 2 km from Positano! 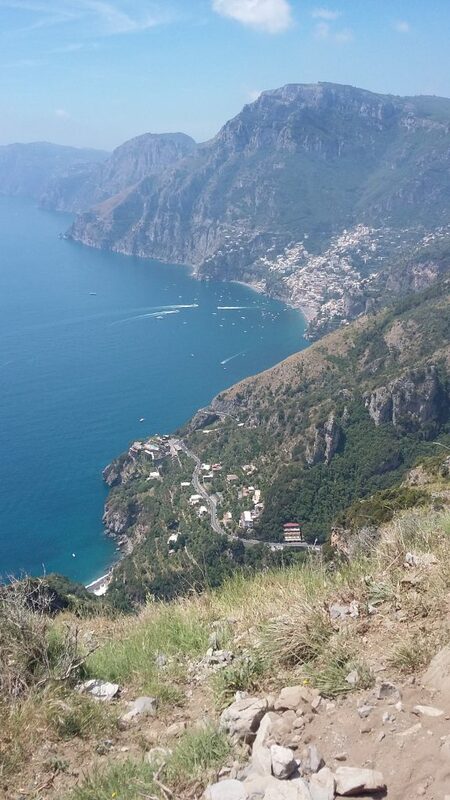 To be fair there is a longer route leading to Positano and we opted for the steps. Big mistake! 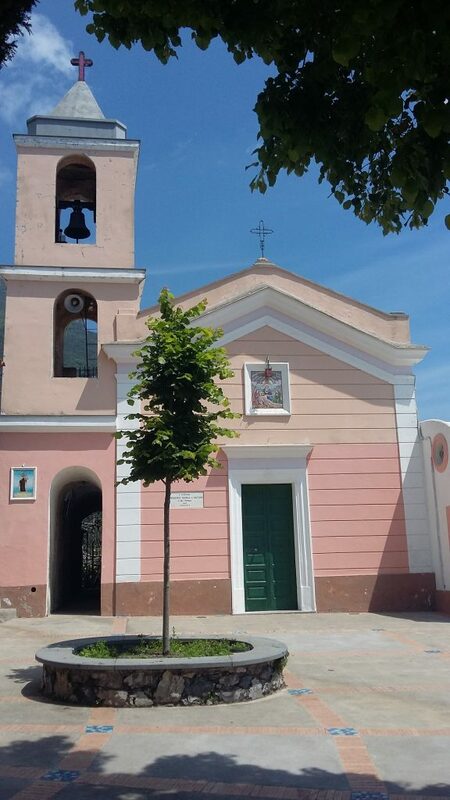 Conveniently there is a bus stop there and we met a very helpful guy called Giovanni who gave us the Top Tip for flagging down the bus; as you buy your tickrts in advance and not on the bus you wave your tickets at the driver to show you have them. If you just wave, the bus drives by because there are so many knackered, but ticketless, tourists trying to pay on the bus and causing chaos! Giovanni also owns the guest house at the bottom of the steps and was trying to show us his pride and joy just as the bus to Amalfi arrived. 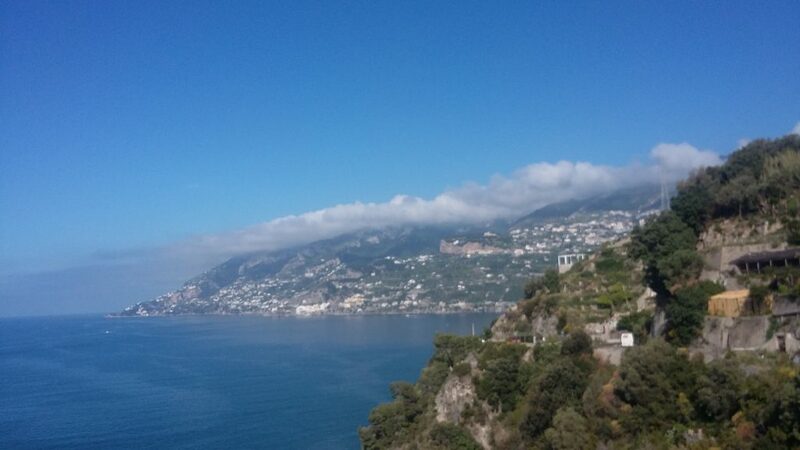 We couldn’t face walking around Positano, there were bound to be more steps and so returned to the boat. 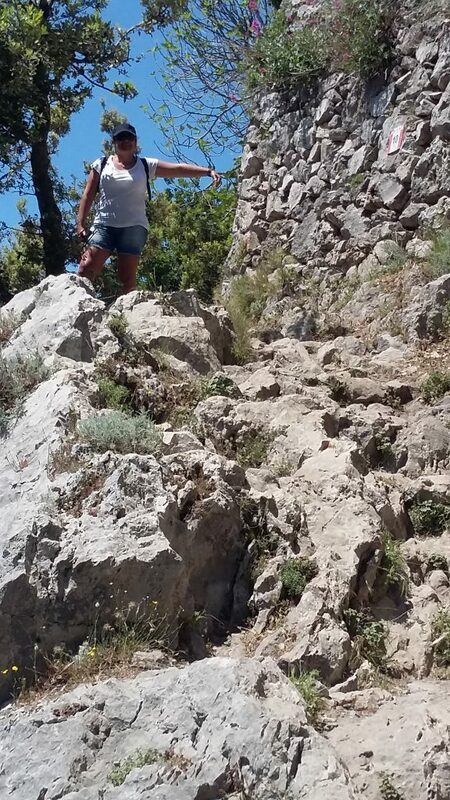 We never realised how many steps, stairs and kerbs there are between Salerno and Marina d’Arechi!!!! The Path of the Gods was fantastic. It took us about 3 hours with a stop for a picnic and a few photo opportunities. This too is a ‘must see’.